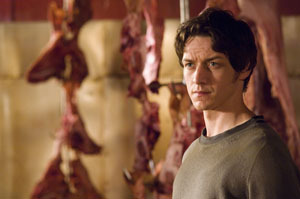 Wesley’s (James McAvoy) life is over – his pathetic old one, anyway… Fortunately, it is all because of a girl. 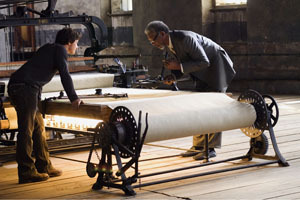 Enter sizzling-hot Fox (Angelina Jolie), who crashes into his life and introduces him to the Fraternity, a secret society of assassins, led by the enigmatic Sloan (Morgan Freeman). Seems Wes’s long-lost father was killed while working for the Fraternity and Wes has been selected to target the rogue member who murdered him. But before he can complete his assignment, Wes must first uncover the dark secrets behind the Fraternity in order to determine his own destiny.